Let’s be honest. 99% of the drum loops in existence use sticks. This isn’t necessarily a bad thing, but isn’t it time to do something different? 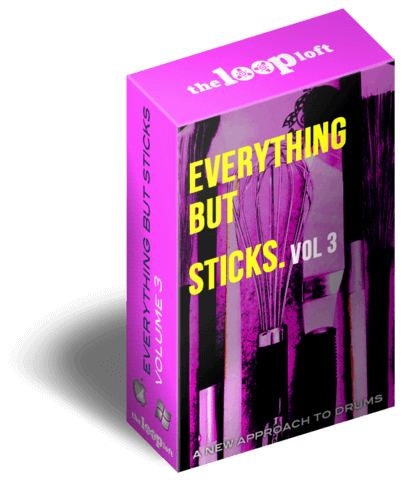 The Loop Loft set out to produce Everything But Sticks, a collection of loops and samples that take a new and fresh approach to grooves on the drum set. By using a wide variety of brushes, mallets, bundles, kitchen utensils and even their bare hands, they were able to pull out an entire range of timbres and dynamics from the drum kit that sticks simply can’t produce.